He looked really healthy and wasn’t showing any signs of anemia on the ultrasound. Dr. Moise and Dr. Trevett still want me to redo my three rounds of plasmapheresis and have back to back IVIG infusions afterwards to try to keep baby safe from my antibodies a little bit longer. Unfortunately my nephrologist (the specialist in charge of my plasmapheresis) refused to order the treatments unless I have a permacath so they will be surgically placing the permacath (again) tomorrow morning in Atlanta. Then I will come home and have IVIG all day Monday before driving back to Atlanta for my plasmapheresis treatments that will happen on Tuesday, Thursday and Friday. I will have IVIG infusions again on Saturday and Sunday then hopefully I can let my body rest for a few days. I am trying hard not to be overwhelmed by all of this and the best way to do that is to be thankful. I have so much to be thankful for. My baby is healthy and alive at this moment. I have amazing friends and family who will drop everything to watch my kids, bring us a meal, take my kids to school, etc. and we couldn’t do any of this without them (thank you Emily and Mark, Amy and David, Shelly, Jessica and Shoney!) I also know what a great privilege it is to be given the chance to suffer in the place of my child. All of the treatments and procedures I will go through in the next week are being done to keep my son safe and to keep him from suffering like Lucy did. Not many parents are given the opportunity to experience physical pain in the place of their child, and I do not take this gift for granted. Please pray that these treatments work in keeping our boy healthy. Yesterday I had my 13th ultrasound and it wasn’t as great as the previous 12 have been, unfortunately. I was 18 weeks and 2 days yesterday and it looks like my antibodies are starting to affect baby. His MoM levels were around 1.3 yesterday and all of his previous scans have been less than 1.1 so there definitely was a jump this past week. 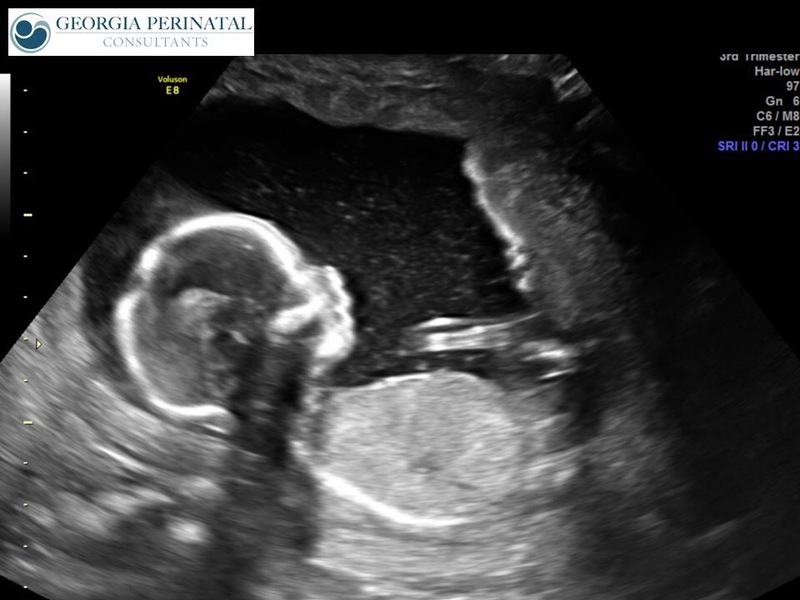 Dr. Trevett also noticed that baby’s bowels looked slightly echogenic on the ultrasound. This means the bowels/intestines looked brighter on ultrasound than usual which can be normal or can be a sign of fetal anemia. Dr. Trevett felt uneasy with the jump in baby’s numbers and the possible echogenic bowels so he wanted me to go be seen by Dr. Moise in Houston this Thursday. We were kind of scrambling at that point to get the appointment set up and trying to get things set up at the Ronald McDonald House in Houston as fast as possible (we can’t afford to stay in a hotel but it takes a while to get in at the RMH.) I wasn’t TOO nervous because the baby really did look great otherwise on the ultrasound. He was very active and there were no signs of hydrops. His heart looked perfect and heart function was good. My amniotic fluid levels are still normal as well. Nora’s MoM at 18 weeks was 1.48 so I still feel pretty good that this baby is at 1.3. It WAS a pretty big jump in just a week so I do feel more nervous now. Anyway, as we were making all of the arrangements to go to Houston and I was trying to wrap my mind around the situation, Dr. Moise called me and asked how baby looked on ultrasound and I told him about the echogenic bowels, the MoM levels, etc. and he thought that I probably didn’t need to come all the way to Houston yet. He said he has never seen a baby with (accurate) MoMs less than 1.5 who was actually anemic. He also discussed everything with Dr. Trevett and the new plan is to have another ultrasound with Dr. Trevett this Thursday in Atlanta and if the baby is worse, I will go to Houston. Dr. Moise also reminded me that it is normal for MoMs to go up one week and down the next week. The thing that is concerning is when there is a consistent upward trend, but even then baby is safe until the MoM reaches 1.5. Dr. Moise does want me to redo the three rounds of plasmapheresis (treatments I had earlier in the pregnancy to remove antibodies from my blood) and then have two back to back rounds of IVIG. Since the plasmapheresis got my titer from 512 down to 64 last time he is hoping it will work well again to lower my titer and buy baby some more time before he needs a blood transfusion in utero. At the moment my titer is 512. I am on board with this plan but I am really hoping that I don’t have to have the permacath surgically placed again. The specialist is wanting to place another permacath in order to do the plasmapheresis treatments but I’m trying to see if we can do them using my port and an IV instead (they have to have two lines of access during plasmapheresis.) The permacath is this big thing they sew into my chest that runs through my jugular right down to the opening of my heart. The doctors have to use x-ray guidance during the procedure to insert the permacath which could expose the baby to x-ray radiation. It’s also painful, uncomfortable and I can’t take a shower or swim with it in. It increases my risk for infection and blood clots also. I would hate to have the permacath placed just for three rounds of plasmapheresis. This is the port I have in now. It’s under the skin and much more comfortable and I can get it wet. Please pray that I can avoid the permacath somehow and that the ultrasound this Thursday shows a healthy baby and no signs of anemia. My side effects from the weekly IVIG infusions have finally started easing up a little so thank you to everyone who has prayed for us regarding that. It is so wonderful not to deal with daily migraines and the nausea is even starting to lessen which is a HUGE blessing. I’ll update as soon as I can after the ultrasound on Thursday! Another good update, thank you Lord! Our baby’s weekly scans are still looking perfect and he is thriving so far. We thought we would be moving MCA scans from once a week to twice per week, but he keeps looking so good on ultrasound, and his numbers are showing no anemia, so we are still able to scan only once per week. I am amazed at how well baby boy is doing! He is even doing better than Nora was at this gestation, which is a miracle. Here is a side by side look at all of my kell babies’ MCA numbers. Remember, once the number gets over 1.5 the doctors know baby is anemic and baby either needs an intrauterine blood transfusion or delivery. Every week that passes means baby’s survival rate goes up just a little bit. Only a few more weeks to viability and I can breathe a little bit easier. Last week at 16 weeks baby was measured for the first time and he weighed about 6 ounces, which is a good size for a baby at that gestation. I had my titer checked last week to see if my antibody level had gone back up. It started at 512 (8 and above is considered critical) and after my last plasmapheresis treatment it was all the way down to 64! But yesterday I found out that it is back up to 512, which was kind of discouraging but not surprising. The same thing happened during my pregnancy with Nora, although it never got nearly as low as 64 after the plasmapheresis. Thankfully, even though my titer bounced back up to 1,024 with Nora, the weekly IVIG infusions still worked and kept Nora safe from my antibodies until about 24 weeks. So, even though my titer is high again, it doesn’t mean the IVIG isn’t working. It is obviously working because our baby isn’t anemic yet. 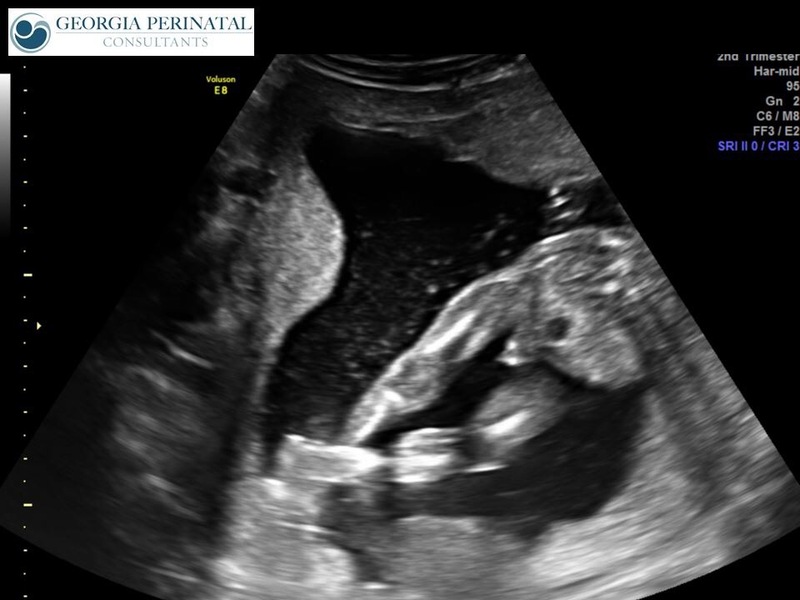 He is always very active on ultrasound. I was really concerned when I didn’t feel him moving at 15 weeks like I did with my other four. We discovered that I have an anterior placenta which means the placenta is covering the front of my uterus and is acting like a cushion when baby kicks. They told me that I probably won’t feel him move for a long time. Thankfully, as I type this I can feel him kicking and squirming so that is comforting and exciting. Because I have an anterior placenta, the doctor will have to go through my placenta with the needle when we do IUTs. Feeling the baby move and seeing him on ultrasound are proving to be very important bonding moments for me. After a woman loses a baby and is pregnant again, she usually struggles to be hopeful and expectant like most pregnant women are. I am often shocked when I see women announcing their pregnancies with wording such as “New baby arriving October 2017” because they just expect that their pregnancy will end with a living baby. Such confidence and hope! I couldn’t conjure it up, no matter how hard I tried. There is an innate sense of “self-protection” that kicks in after losing a baby. It’s primal and impossible to ignore, just like the love we have for our children. Yes, I will first pack this baby’s diaper bag for a stillbirth with blankets and tiny hats. I somehow feel safer if I prepare for every possible scenario in some small way. Then I will hopefully repack it with micro preemie clothes and items for a long NICU stay. Then, hopefully assuming we get past that point, I will finally pack his diaper bag in preparation for a living, full term baby with diapers and pacifiers and cute outfits, just like I did for Nora. If a baby loss mom also has a high risk pregnancy, that only adds to the fear and anxiety. With Nora and this baby, when I saw the two pink lines on my pregnancy test I didn’t think, “OH, I’m having a baby!” I was filled with fear and awe and adrenaline, wondering whether this would end in another life altering tragedy or a breathing, living baby in my arms. I wasn’t REALLY able to savor my pregnancy with Nora or celebrate my second daughter until she was in my arms, alive, and then it all rushed on me at once, flooding me with the most delicious feeling of relief I’ve ever felt. Nine months of restrained hope suddenly released and poured out until my heart overflowed. And to this day it still overflows with awe and thankfulness and relief that she is here. Now I am in that waiting period yet again, wondering whether our family is heading toward some terrible precipice that will tear us and mangle us permanently, or if we are headed toward another of God’s miracles waiting for us like the best present under the tree in December. The waxing and waning of fear, peace, anxiety and hope are part of our everyday lives. But when I feel his little nudges and kicks and when I see him on the ultrasound rubbing his eyes with his tiny fists, practicing his breathing in and out, crossing his legs, waving and yawning, I feel that love and adoration wash over me. The pure strength of a mother’s love pushes all of that fear into the background. I feel connected to him and dedicated to him and HOPEFUL about meeting him here on earth. Thank you for praying for our boy. Hopefully he will continue to fight and conquer these antibodies week after week until he is safely in my arms. Yesterday I got the call from Dr. Trevett that I had​ been anxiously waiting for. I knew right away from the tone of his voice that the results were not good. Unfortunately, our baby is kell positive. Josh’s genes win again. The odds are supposedly 50/50 but Asher, Lucy, Nora and now this baby are all kell positive. We still don’t know whether Liam is or not (I didn’t develop the antibodies until after Asher was born so the boys weren’t in danger.) I was not surprised that the baby was kell positive but I was very disappointed and disheartened. I’ll write some more about what the baby’s kell antigen status means in a minute. We are having a baby boy! We love our son so much already. When I first heard the news that I would be having a boy I was completely shocked and to be honest, kind of sad. I really wanted Nora to have a sister on earth and this is definitely our last baby (unless we decide to do foster care one day way down the line.) I wept and grieved deeply for the loss of seeing my daughter with her sister. It reopened my Lucy wound, which is only partially healed to begin with. Obviously, Lucy can never be replaced and I always ache for her; for Liam and Asher’s first baby sister and for Nora’s big sister. But I was hoping that the pain of Nora growing up without a sister would be healed and redeemed here on earth. Now I know that will not happen. I will have to wait until heaven for God to redeem that loss and Nora will grow up with only brothers (which is not a bad thing, it’s just difficult for me because her sister is missing.) I was also worried when I found out I was having a boy because sometimes, boys tend to be more affected by the antibodies than girls. So this boy might have to fight harder to survive than Lucy and Nora, which is scary to think about. I gave myself time to grieve these losses and to get used to the idea of having another boy. Gender disappointment is real and it’s important to grieve and “say goodbye” to the idea of the baby you were expecting/hoping for. That being said, we are not disappointed at all in this baby. We are thrilled to be having another boy and we are desperate to bring him home alive. I remember soon after I found out I was pregnant and I was going through the scenarios in my head, “Kell negative boy? Kell negative girl? Kell positive boy? Or kell positive girl?” and the strong feeling came over me that I really didn’t care in the end. I just loved my baby, whoever he/she was, whatever the blood type, I loved my newest baby completely. That’s the bottom line. I love my son for who he is, testosterone and energy and kell positive blood and whatever else comes with him, I love him for who he is and I’m thankful for this incredible gift from God. I’ve known the baby’s gender for about a month now and at this point, I can’t imagine having a baby girl. I truly am looking forward to having another boy. Yet again, I am reminded that God is writing this story, not me. He thinks the best thing for us is this little boy which makes me so excited about him. If it were me writing this story I definitely would make this baby kell negative, but God thinks this is best and I trust Him. He has a reason for His decisions. My mom reminded me how many great blessings came out of Nora being kell positive. We learned so much about anti-kell antibodies and the proper treatment and monitoring practices. I’ve been able to help many women and babies with their pregnancies because of everything I went through with Lucy and Nora. We got to live in Houston for five months and meet so many amazing, courageous families who we now call friends. I got to fall in love with some sweet children who are now with Lucy in heaven and I never would have been able to get to know them while they were on earth if Nora had not been kell positive. These people have blessed my life in so many ways. And of course, we got to see a miracle take place right before our very eyes as Nora beat the odds week after week and pulled through again and again. Now she is here, full of life (and full of toddler sass) filling up our world with hope and light. There are so many good things that came with Nora’s kell positive diagnosis and I look forward to seeing what God is going to do through our little boy. So, medically speaking, what does it mean now that we know this baby is kell positive? It means my antibodies are definitely attacking him and will continue to attack him until he’s out of the womb. My anti-kell antibodies are specifically designed to destroy my own baby’s kell positive red blood cells. When that happens, the baby will become anemic and will need a blood transfusion in the womb. It is difficult and dangerous to do a blood transfusion on a tiny baby in utero, as you can imagine. The bigger the baby is, the easier it is for the doctors to do the transfusion. The further along baby is, the safer the procedure is because if something goes wrong the doctors can just deliver. If baby boy had to have a blood transfusion right now it would be extremely dangerous since he only weighs a few ounces and isn’t even close to being viable outside of the womb. Lucy had a blood transfusion at 18 weeks and died at 19 weeks because she was losing the battle against my antibodies and she was too young to deliver. If I had been a few weeks further along they would have delivered her and she would have had a chance at life. 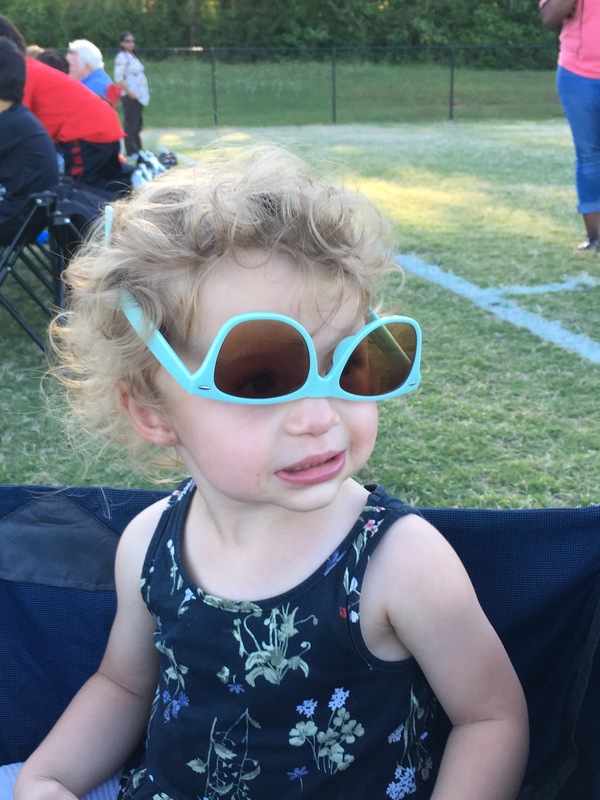 Thankfully, because of the plasmapheresis and IVIG treatments that I had during my pregnancy with Nora, she did not need her first intrauterine blood transfusion until 24 weeks. We are hoping our boy can make it as far as Nora did before needing a transfusion. As of right now I am driving to Atlanta (about 3-4 hours one way) every week to do an MCA scan on the baby to check for anemia. If he starts getting close to being anemic we will do scans twice a week and if the scan shows that he is anemic we will go to Houston the next day to be treated by Dr. Moise. Dr. Moise is more experienced treating babies at early gestations for fetal anemia. If the baby gets anemic later on in the pregnancy we will probably stay with Dr. Trevett and let him continue treatment. I am having weekly IVIG infusions in my home with my home care nurse (having one right now as I type, actually.) I will continue these until baby becomes anemic and needs a blood transfusion. The IVIG has side effects that make me feel terrible most of the time on top of pregnancy symptoms so that has been very difficult. With all of my pregnancies I’ve had around the clock morning sickness from about 6 weeks to 20 weeks. I started getting sick at only 4 weeks pregnant with this little guy. The side effects that I struggle with most from the IVIG are nausea, vomiting, migraines, muscle weakness, fatigue and muscle aches (very similar to flu side effects.) I feel extremely weak and fatigued most days and a lot of my mental energy is spent trying not to throw up. I often don’t have the energy to stand up long enough to cook a meal for my family (I try to bring a chair into the kitchen or we end up getting take out, which is normally very rare for us.) Going grocery shopping feels like an impossible feat most weeks, and by the time I’m standing in line to check out I really have to fight not to pass out or throw up while I wait. There is a lot of physical suffering ahead for me and for baby boy and a lot of emotional and financial stress for our whole family. Please pray that our boy survives. All of this is completely worth it for us. He is worth it. None of this is a surprise to us, by the way. We knew before we got pregnant that this would probably be the scenario and we knew what we were signing up for. Our family was on board and our doctors were on board before we even decided to try to get pregnant so that makes us feel incredibly blessed to have such a great support system. The best news is that baby boy looks healthy so far. Our last appointment was on Monday and baby’s MCA scan showed no anemia so far. There were no signs of hydrops and baby’s heart looked good. He was active as usual and so adorable. 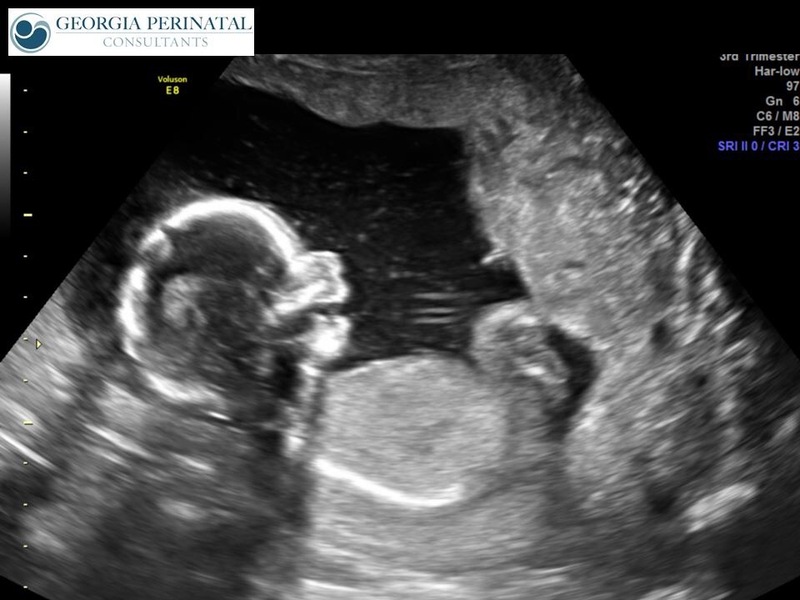 My next scan is on Tuesday, May 9th. They will probably do an in depth ultrasound for the first time to measure baby and check all of the structures of the organs. They will also be doing another MCA scan to check for anemia. Please pray that our son looks healthy and shows no signs of anemia. My little brother is also getting married next week and I REALLY don’t want to miss his wedding. If baby looks anemic on Tuesday I will have to go to Houston and miss my brother’s wedding so pray that baby still looks good. Thanks for supporting us through this tough time and for praying for our baby. Is there any greater gift than knowing other people are praying for my child? Psalm 18:28-36 For it is you who light my lamp; the Lord my God lightens my darkness. For by you I can run against a troop, and by my God I can leap over a wall. This God- His way is perfect; the word of the Lord proves true; He is a shield for all those who take refuge in Him. For who is God, but the Lord? And who is a rock, except our God? -the God who equipped me with strength and made my way blameless. He made my feet like the feet of a deer and set me secure on the heights. He trains my hands for war, so that my arms can bend a bow of bronze. You have given me the shield of my salvation, and your right hand supported me, and your gentleness made me great. You gave a wide place for my steps under me, and my feet did not slip. Oh Lord, fill my boy with strength. Support him and be his shield. Keep him safe and use him to do great things for you. Let him be a light and a beacon of hope to others. We entrust our son to you.